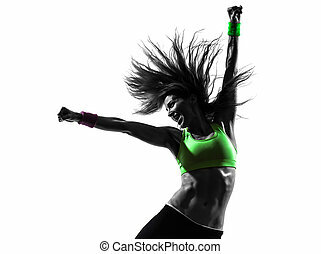 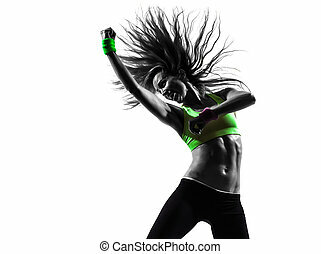 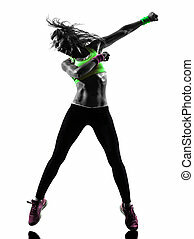 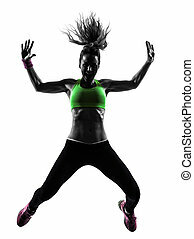 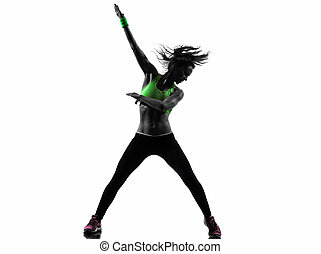 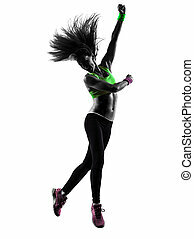 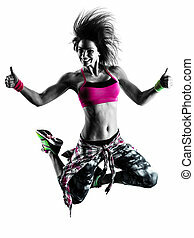 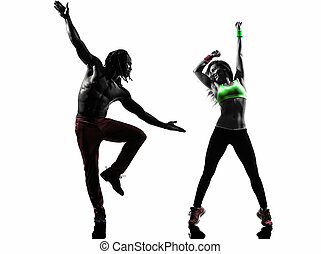 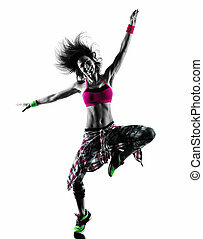 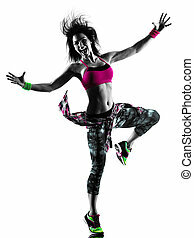 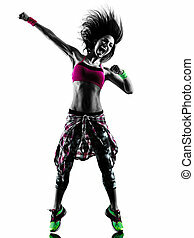 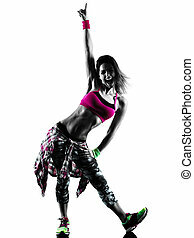 Woman exercising fitness zumba dancing silhouette. 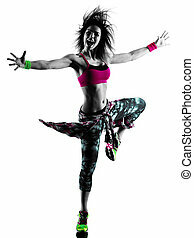 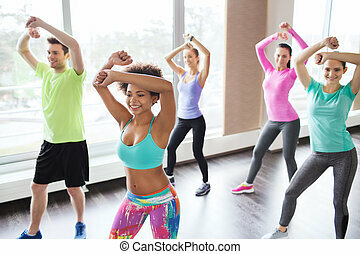 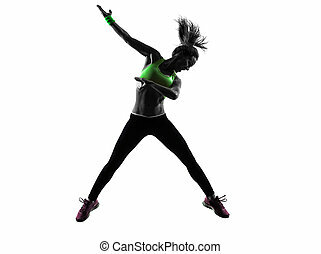 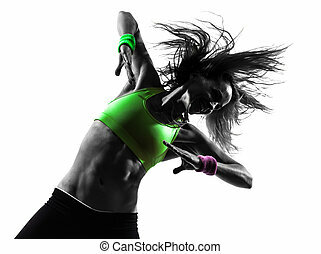 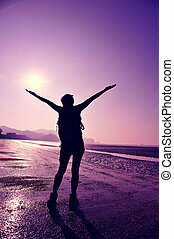 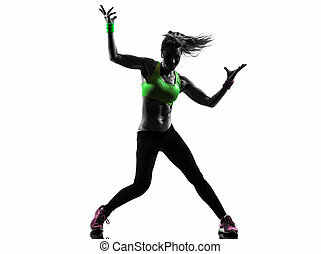 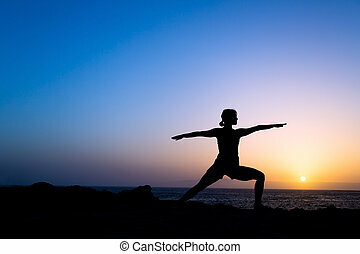 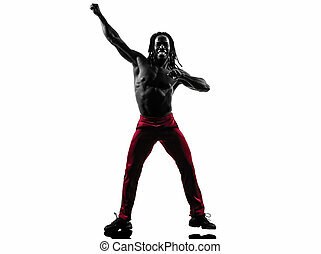 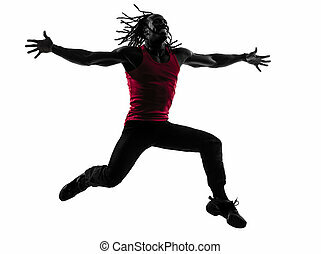 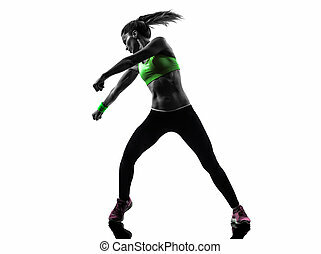 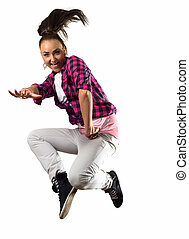 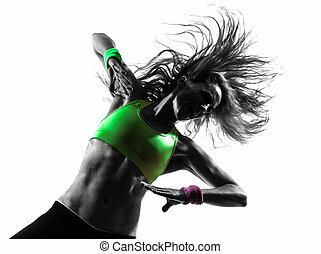 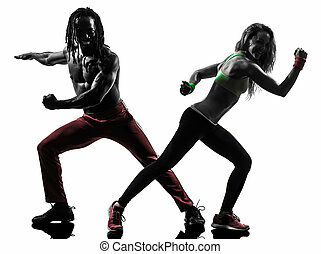 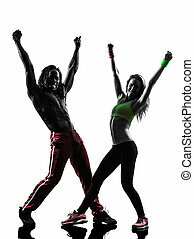 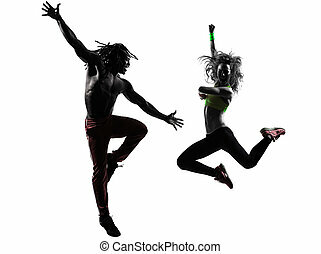 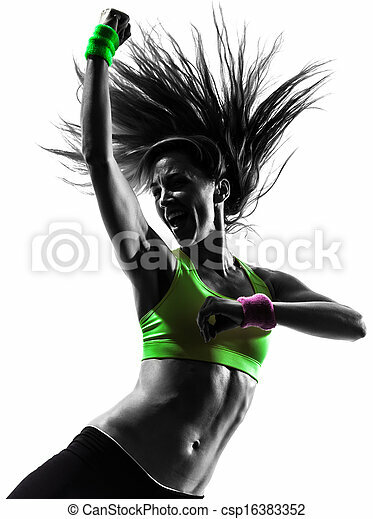 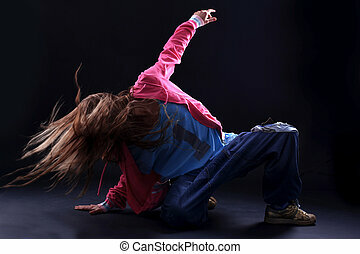 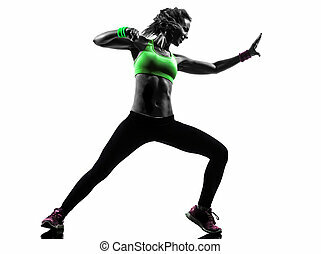 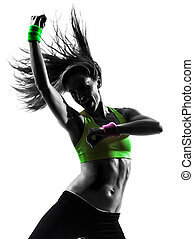 One caucasian woman exercising fitness zumba dancing in silhouette on white background. 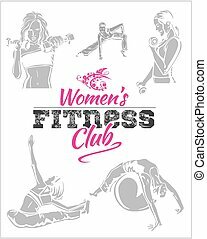 Fitness club and gym banner or poster design. 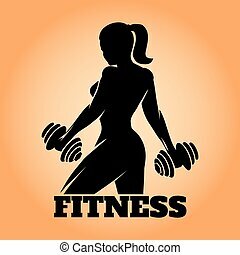 Silhouette of athletic woman with dumbbells. 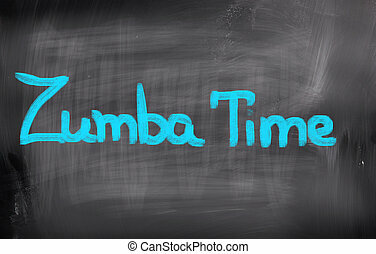 Free font used.